Expanding to the world-wide marketplace can be good for business, but both you and your company must be prepared. There are a number of rules and regulations you must follow to bring goods into this country or to send them abroad. 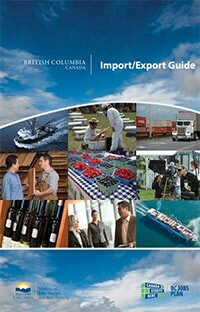 This guide introduces you to the information that is available to help you navigate the exciting world of international trade. If this resource interests you, then you may also find Small Business BC's Import Advisory and Registration Packages service helpful.